One of Unity’s dirty secrets is that (out of the box) it’s plain awful as a prototyping tool. You can fix that, but it requires quite a lot of work. I’m going to start publishing my fixes one by one. Here’s the first: a test-bed for making custom meshes. The main reason to use a 3rd party engine is to avoid re-inventing the wheel; it’s tragic that Unity can’t even do mouse-input out of the box. Let’s fix it! Completely impossible, due to short-sighted design decisions in the Unity Editor from 10 years ago that never got changed. So, let’s fix it. It’s hugely annoying not being able to do this! iOS forces you to use pretty animations: if you don’t tell it otherwise, it will use “ease-in/ease-out” curves to make things feel … smoother, less jerky. Unity is made for programmers; changes you make to position, size, rotation, etc all happen instantaneously. By default, they won’t even animate, will teleport instead. So … moving from “prototype with no animation” to “prototype that won’t hurt people’s eyes, and I can share”, what are some tips and gotchas? 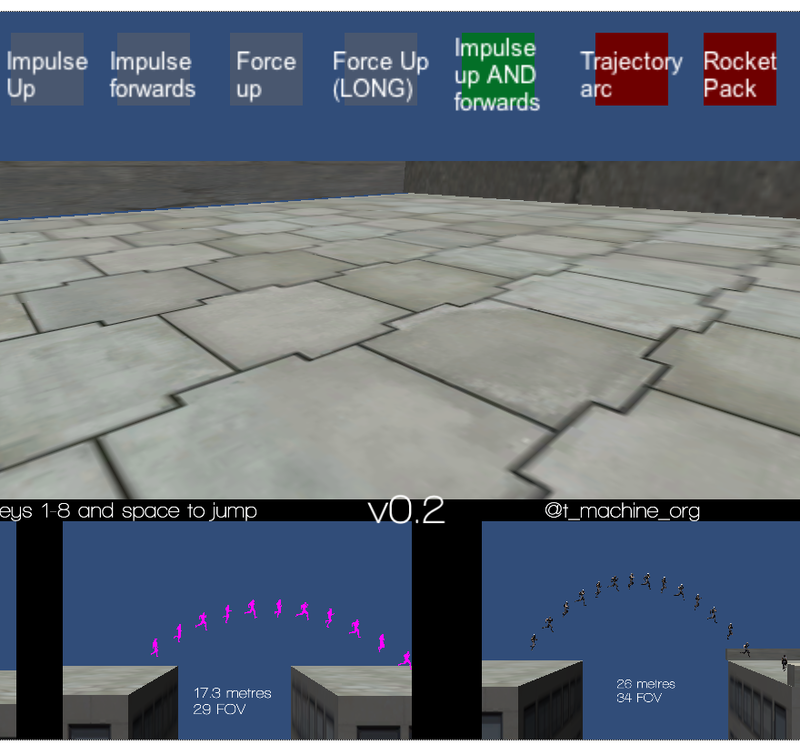 I needed fast, efficient, … but powerful, adaptable … pathfinding for my hobby project. 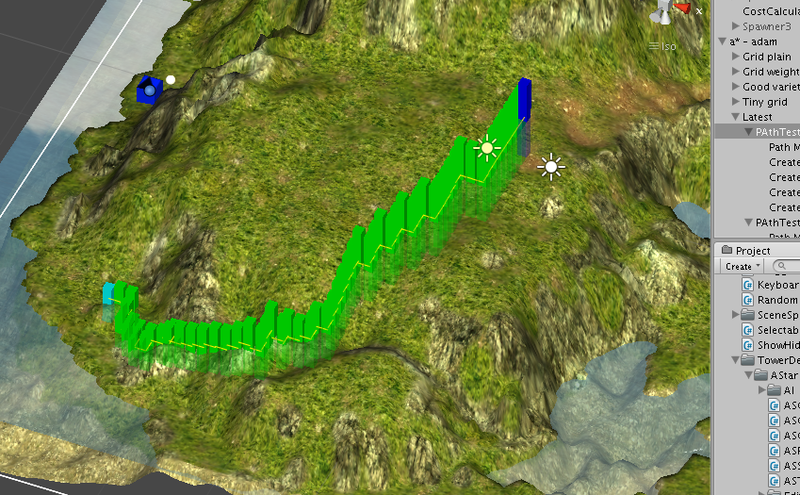 My minions have to fly, walk, crawl, teleport, tunnel their way across a procedural landscape. Getting to that point has been tricky, but the journey’s been interesting. You downloaded Unity, watched some tutorials on YouTube, and had a physics “game” running the same day. Excited, you started writing the game you’ve always wanted to make. Possibly – bitten before when trying this with GameMaker etc – you thought to organize your source code: folders, subfolders, logically-named scripts, etc. Fast-forward a few months, and you have 50 scripts in 40 sub-folders, some of it re-usable, some of it hardcoded for your game. Hoooo-Kayyyy… Well, it’s not too bad. And then a new opportunity comes along – a paid contract, a game-jam, a collaboration with a friend – and you want to re-use some code from your main project. You look at the folder structure, you look at how intertwined it’s all become … and you weep. Without re-use, what seemed like an “easy” project becomes just a little too much work, and you never finish it. Back to square one :(. 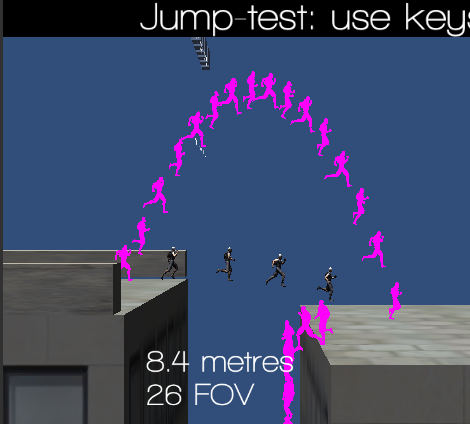 There are five major aspects to code re-use when making Unity apps. Most of these are shared with general programming, but these are the ones I’ve found *especially* important when doing Unity development. The best way to get good at naming things in a program is to focus on “what makes a bad name”, and “Don’t do that”. e.g. If you have to open a Script to remember what it does … it has the wrong name. If your script is more than a thousand lines long … it’s the wrong name AND you’ve put too much junk in there; split it! Renaming scripts in Unity is a minor pain: you rename it, then you have to close the file in MonoDevelop, re-open it, and (assuming it was a C# class) rename the class in source-code too. (I keep hoping latest Unity will do this automatically, but I’m a version behind at the moment). … you can never have too many. Give them good names, though! Ah, now it gets tricky. The art of decoupling takes much practice to master. Decoupling is why C# (and Java) has the “interface” keyword. The concept is much easier to understand after you cocked it up, written code you can’t re-use, because everything’s too inter-dependent. Unity itself doesn’t use Interfaces (though it really ought to!) – and you have to use a little ingenuity to use them yourself (Google it, it’s only a few small caveats). 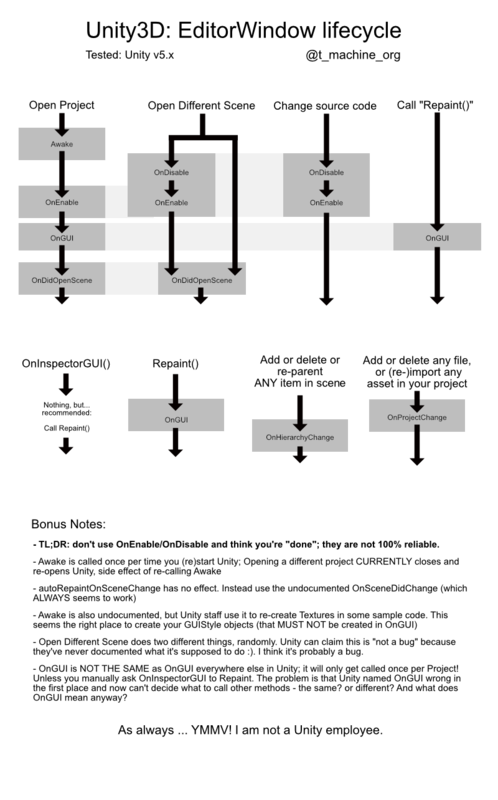 But C#-interfaces simply give you a compiler-compatible way of decoupling: you have to design your classes as decoupled to start with. Again, google this and ask around – it’s too big a topic for me to do justice to here! Libraries. This is why The God Of Programming invented Libraries. So, how do you do a Library in Unity? A DLL is a great way of packaging code – it’s a very widely-used standard. So, Unity uses DLL’s for this (good move) – but if you google “Unity make DLL” you’ll get distracted by the huge complexity and depth of C++/Unity integration, and you don’t need any of it. Instead, you’ll be doing “DLL light”, which is easy. But, as with most Unity features, it’s almost entirely undocumented. And, out of the box, it will fail. For bonus points, Unity will give you completely the wrong error message when it goes wrong. Yay! Make a second script that uses that first one, e.g. …attach it to a GameObject, check it works. You’d think this would be enough, but it isn’t. However, the docs are simple, direct, and I found them easy to follow. NB: they write a slightly more complex script to use than mine, with but whatever. The idea is the same. Now that your DLL is compiling/building in MonoDevelop … you are no longer stuck with Unity’s arbitrary rules and restrictions! The world is yours! Step 4: What about the [square brackets]? These Just Work ™ exactly as they did in Unity scripts. e.g. This is where it breaks. If you had any Editor scripts (which, in Unity, MUST be stored in the “Editor” root folder, or one of its subfolders), you can include them in your DLL – but they won’t work. Error: multi-object editing not supported ! …at least, you do in Unity 3.x. Fixed in 4.x, I suspect? But I haven’t gone back to try it since I fixed the bug :). There is some mumbo-jumbo on the internet (and Unity forums) about complicated workarounds, notably courtesy of AngryAnt (with a Jan 2014 post here, with some extra info worth reading but NOT required!). But these are long-since outdated and unnecessary. The fix is very simple: we must create TWO DLL’s! 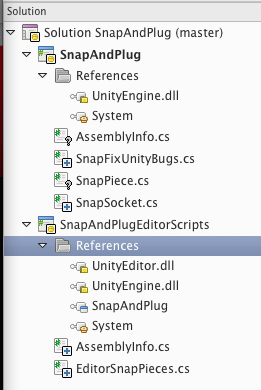 DLL #2: will contain ONLY the editor-scripts, and we’ll drag/drop it into Unity’s “Editor” folder. This is extremely logical, simple, and easy to remember. And it works beautifully! But .. how? As you did earlier, choose “Library (C#)”. I recommend naming this “SomethingSomethingEditorScripts” (where “SomethingSomething” is your library name, which you used for the first DLL). …see how I have two “projects” in MonoDevelop, one which just uses normal Unity stuff, the other which additionally uses Unity Editor stuff? And the second one “references” the first, so it can see/use/create the classes and methods from the first one. 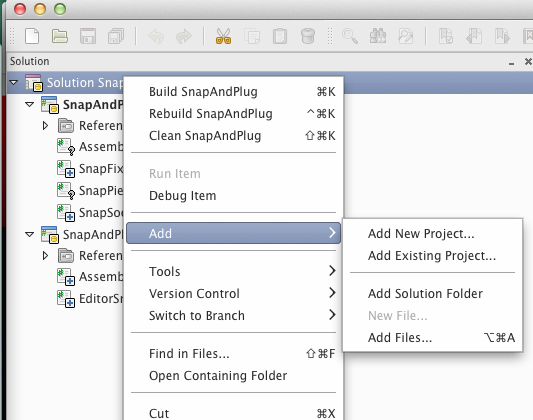 Build, and find the output files. The first project/DLL will still only be making one DLL, but the folder for the SECOND project/DLL will conveniently build BOTH projects and contain BOTH DLL’s. Make sure you put one DLL “anywhere except Editor” and the other one “in Editor, or a subfolder of Editor”. Finally, create some GameObject’s, open up the DLL’s in Unity’s Project view (expand the triangle) and drag/drop the Scripts onto your objects as desired. Click on them in the Scene view, and all your OnGUI, OnGizmos etc methods should run exactly as normal. Now you can share your code with other Unity projects simply by drag/dropping the 2 x DLL’s into a new Unity project. BOOM!